At one point in time, GOP presidential candidate Ben Carson may have been best known as an excellent, even groundbreaking, neurosurgeon. In recent years, though, he’s done everything he can to throw that reputation away. It won’t surprise regular readers to know I disagree with him on, well, almost everything. But recently he’s starting to get more heat about his religious views. He’s an outspoken creationist. This actually goes way back. In 2006 he clearly stated his anti-evolutionary views and has repeated these claims many times since. In 2012 there was controversy over this when he was asked to give the commencement address at Emory University. In 2004 he said that people who accept evolution “dismiss ethics,” a comment he later backed down on a very tiny little bit (later saying they “might have more difficulty deriving where their ethics come from”). 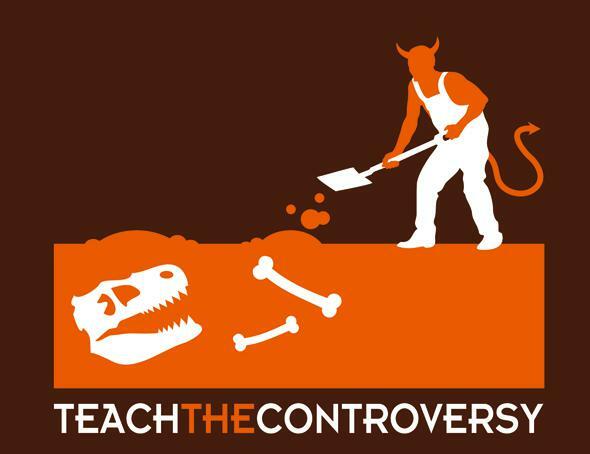 I’d heard about all this before, but an article at BuzzFeed has something I hadn’t heard: In 2012, in a speech at an event called “Celebration of Creation,” he said that Darwin came up with evolutionary theory because the devil made him do it. I mean that literally. He said, “I personally believe that this theory that Darwin came up with was something that was encouraged by the adversary.” The Adversary is a nickname for the devil; it’s the actual translation of the word “Satan.” So there’s that. OK, how about this: The Big Bang is not something you believe in. It’s a scientific model, supported by a truly vast amount of evidence. It doesn’t take faith, it takes science (and, despite Carson’s claims, science is not faith-based). Creationists who dismiss the Big Bang usually do so because they think the Earth is young, 6,000–10,000 years old. This belief is, to put it simply, wrong. We know the Earth is more than 4.5 billion years old, give or take a few million years. The evidence for this is overwhelming. We also know the Universe itself is old; a huge number of independent lines of evidence make this clear. It doesn’t take faith to think the Big Bang is true, it takes a profound dismissal of all of science to think it isn’t. 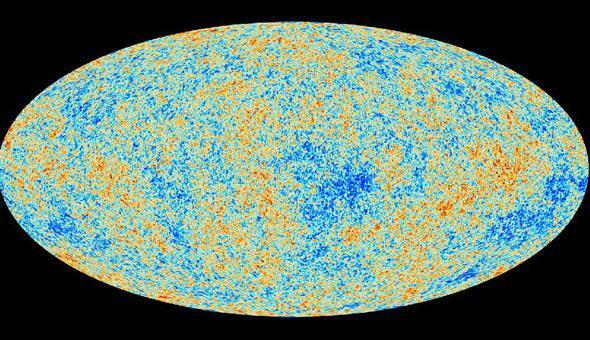 The Big Bang left its imprint in the background radiation of the Universe itself. We see it. Which brings us to evolution. Young Earth Creationists dismiss this as well due to the age issues, as well as others (for example, the Bible stating that God created Adam fully formed and in his image). But evolution is a fact. Like the Big Bang, the evidence for it is overwhelming (it’s even been observed). It bothers me greatly when a presidential candidate is so cavalier in dismissing facts. That’s a route we’ve been down before, and it leads to Very Bad Things. As for Carson’s statement on ethics, well, humans were ethical long before monotheism came around. His claim that people who accept evolution is true might have difficulty with ethics is profoundly insulting to scientists. The almost unutterable irony here is how Carson dismisses this all, talking about “high-faluting” scientists. But he was a neurosurgeon. His entire career owes its existence to science, yet he tosses out the men and women over the past few centuries whose expertise allowed him to benefit so greatly from his practice. I know a lot of the Republican base is very religious, and they have every right to be. But fundamentalism is dangerous; it promotes clearly erroneous claims while simultaneously encouraging people to legislate those beliefs. We’ve seen what happens there; fittingly enough due to the antics of Bobby Jindal, another GOP presidential candidate. It shortchanges our children out of an education they’ll need to survive in our science- and technology-based society. I also know that the vast majority of creationists have very basic misunderstandings about evolution, the Big Bang, and science in general; I addressed this in depth when I wrote my article “Answers for Creationists.” I tried very hard to be polite in that post, given I was dealing on a personal level with people’s personal beliefs. I take a different stance when it’s a politician who espouses these views, especially when he’s running for the highest office in America. If someone wants to run this country, then he better show that he has a solid grasp on reality. Dismissing and actively denigrating strongly understood science—whether it’s astronomy, biology, or climatology—is at the very least cause to dump him.